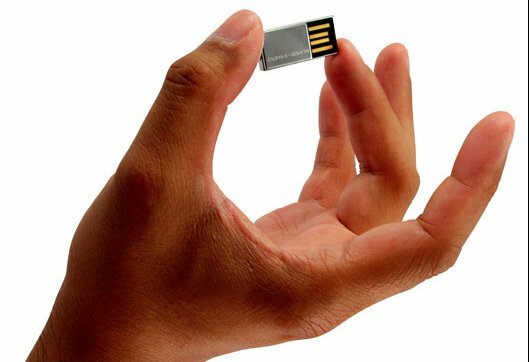 Are you looking to buy one of the smallest memory sticks in the world? 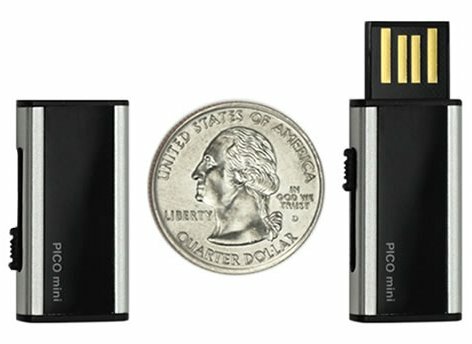 The Pico is probably the tiniest there is after the EagleTec Nano Drive, but with a smoother design. - Keychain ring or hole. - The different designs from A to E.
- The plating editions of chrome, nickel and gold (24K). 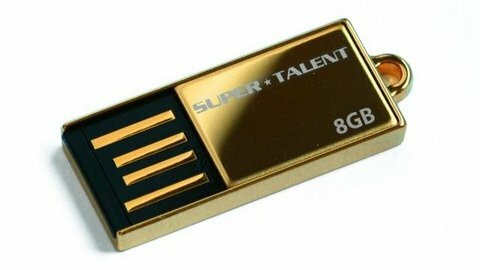 - The capacity range of 1 – 64GB. - The transfer rate of up to 30MB/sec (200x). - The water and shock resistance. So let us take a look at the various models, shall we? 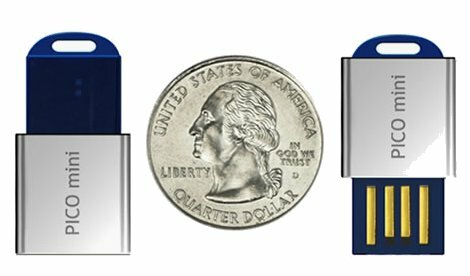 What makes Pico flash drives really special is the super-light weight of less than 6g and the ultra-slim miniature size of 31.3mm x 12.4mm x 3.4mm (approx.). That’s a little taller than a quarter or your thumb. Surely small but powerful but not quite the peak of efficiency. That’s reserved for the Pico Minis! 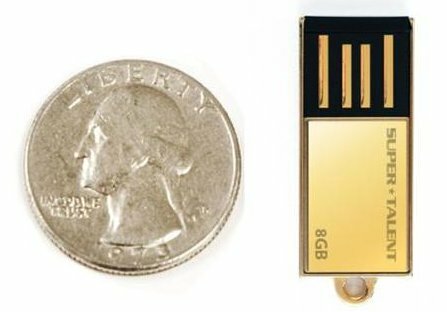 First there’s the Mini-A which is only 3mm thin and weighs 4.5 grams less, making it 1.5 g light! 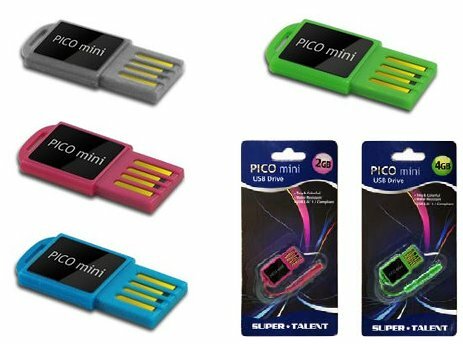 Then there’s also the Pico mini-B which is equally colorful but has a bigger keychain hook. 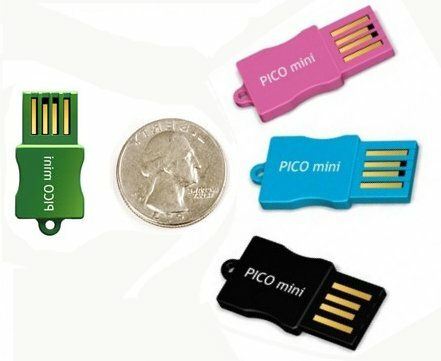 With less color but clever retraction designs come the Pico mini-C and mini-D. So is your interest more than piqued? All I hope is that you won’t suffer from a reversed inferiority complex now. 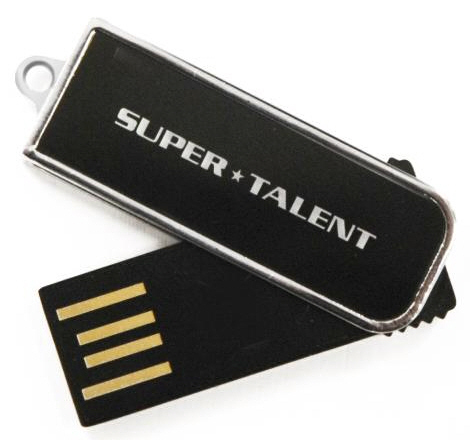 hi does the SUPER TALENT PICO B MINI USB come with a key chain or has it got a key chain slot bcos it doesn’t show on the picture whereas the others do, thanks. Please send me driver(s) for PICO DRIVES 512MB for windows98, or tell me where can I get it. in most product descriptions it says that Windows 98 is supported. 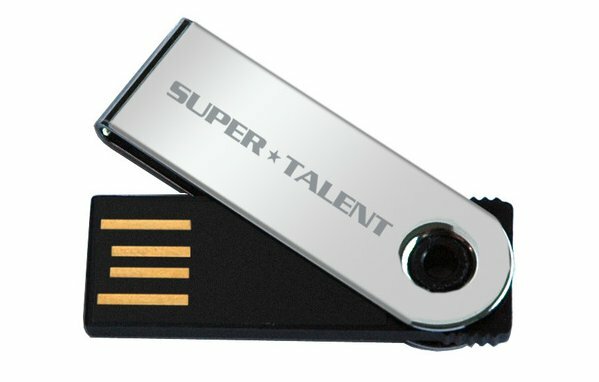 You can download 98 drivers from the Super Talent website, maybe they work with the Pico too? If anything, you could contact their customer support there. Hello there, I notice you mentioned these sticks have “LED indicator for power and activity”. Pico does not have LED. Thanks, George. I dont know how that got in there but I corrected it. I guess the Pico is too small to have LED, though it would be cool if it did.